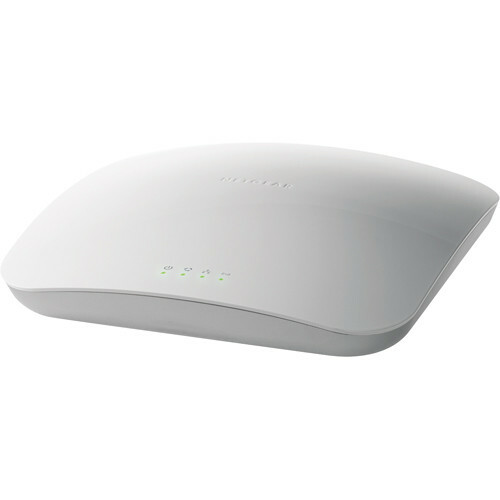 The WNAP320 ProSAFE Wireless-N Access Point from Netgear provides a bridge between wired Ethernet LANs and 802.11b/g- and 802.11n-compatible wireless LAN networks. It provides connectivity between wired Ethernet networks and radio-equipped wireless notebook systems, desktop systems, print servers, and other devices. Box Dimensions (LxWxH) 14.5 x 12.1 x 3.4"
WNAP320 ProSAFE Wireless-N Access Point is rated 5.0 out of 5 by 2. Rated 5 out of 5 by Keith Van from Awesome Access Point. Easy to configure, POE so no power needed, and has great range. Rated 5 out of 5 by Keith Van from Awesome Access Point. Great range, and never drops out.